You may recall that I promised a new asparagus recipe still in its gestation period. 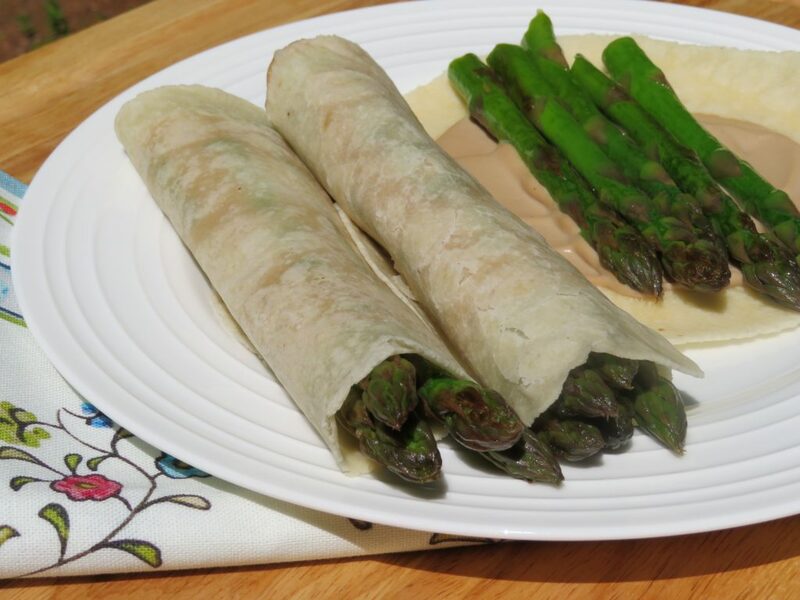 Today I’m delivering it: Vegan Asparagus Wraps. What I love most about these wraps is that, in my humble opinion, they fit into the category of fun foods. Children (or adults) who say they don’t like vegetables may just try something new if it looks like it might be fun to eat—and anything in a wrap looks like it’s hiding a secret treasure.